The Journal of the Audio Engineering Society is a peer-reviewed journal published ten times a year. All members of the AES, as well as many nonmember subscribers, receive the Journal. Society membership is composed of professionals engaged in the theory, design, application, sales, and purchase of audio components and systems. Circulation: 14,000+. The AES holds two major international conventions per year and several international conferences where technical and scientific papers are presented by academicians, electrical engineers, acousticians, sound system designers, recording/broadcast engineers, and others active in the global audio engineering community. Asterisks (*) represent special Journal coverage of these events. Based on tutorials given by leading experts at the 135th convention, we review aspects of the U.S. Library of Congress National Recording Preservation Plan, including best practices for preserving born-digital files, priorities and planning for preservation, new technologies, access, and documentation. In late 2013 the AES67 standard for network audio interoperability was launched to great acclaim. The result of many years of work, this standard aims to provide a basis for audio information to be shared across networks according to a common standard. Some of the key proponents of this standard discussed the reasons for their decisions during a workshop at the 135th Convention. We also review the standard itself and look at the challenges of carrying audio on networks that also carry other types of data. We summarize key contributions to the 53rd International Conference on this important topic. Semantic Audio is concerned with content-based management of digital audio recordings. The rapid evolution of digital audio technologies, e.g. audio data compression and streaming, the availability of large audio libraries online and offline, and recent developments in content-based audio retrieval have significantly changed the way digital audio is created, processed, and consumed. New audio content can be produced at lower cost, and large audio archives at libraries or record labels are opening to the public. Thus the sheer amount of available audio data grows more and more each day. How should one do sound design for the three main strands of a movie sound track — dialog, music, and sound effects? Based on three masterclasses presented at the highly successful Sound for Pictures track at the 135th convention, we relate the tricks of the trade given by leading Hollywood sound mixers. In the last decades multiple systems for electronic acoustic enhancement have been introduced. Some have disappeared over time but others appear to be settled firmly. The claim for these systems is that the acoustics of a venue can be changed at the press of a button, at cost significantly lower than variable acoustics by structural means. Also, in situations where the natural acoustics did not work out properly, these systems are used to correct the flaws, again at lower costs than the structural alternatives. A tutorial given by Ben Kok considered what acoustic properties can or should be influenced by an acoustic enhancement system. In relation to this, working principles and philosophies of some of the most popular systems were analyzed and similarities and differences are identified and related to specific acoustic situations. There has been a remarkable resurgence of interest in vinyl records and reproduction equipment in recent years. Some would say it never went away. First-hand knowledge of the vinyl mastering process is in high demand, yet short supply. A session from a recent convention was dedicated to discussing the truths of vinyl mastering, lacquer cutting, and vinyl production while also dispelling myths. We also look into the tricky process of selecting a suitable stylus for reproducing analog disk recordings. Live sound has become one of the mainstays of the audio engineer's career portfolio. We look into sound design for Broadway theaters, as well as the tuning and optimization of sound systems for live venues. There's also the question of speech intelligibility in sports stadiums, which was discussed in detail at a recent convention by a panel of experts including Renato Cipriano, Sergio Molho, and John Storyk. 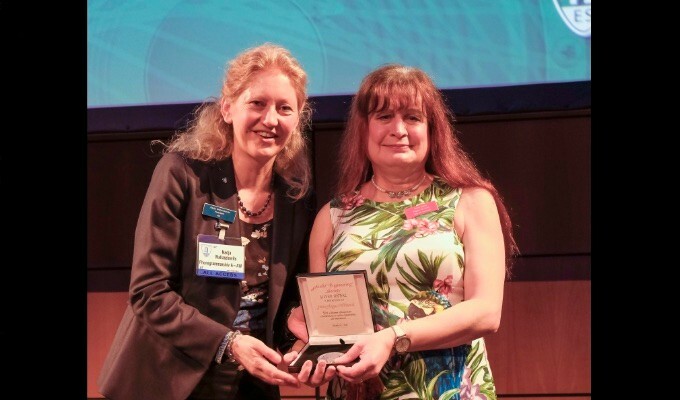 The AES 54th International Conference was dedicated to exploring advances in the field of audio forensics by providing a platform for research related to the forensic application of speech/signal processing, acoustical analyses, audio authentication, and the examination of methodologies and best practices. We summarize some of the principal contributions to the field. Spatial audio is one of the biggest research topics in the field of audio. 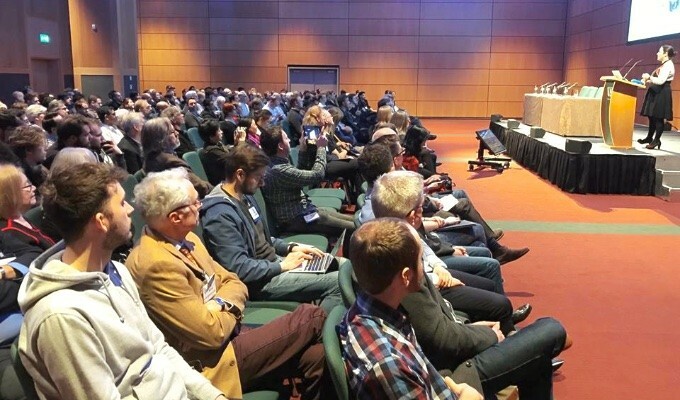 The AES 55th Conference brought together researchers and practitioners, including those working in recording and reproduction of spatial sound, perception of spatial sound, transmission, and coding. We report on the innovations presented at this important event. Loudness monitoring and control has become one of the hottest topics in the broadcast field, and is now finding its way into the cinema domain as well. We provide an update on the latest developments in this fast-moving topic, looking into the ways that standards have been implemented and adapted for other application areas. Sustaining Members receive a 10% discount in advertising in all ten issues. Exhibitors at AES conventions receive 15% discount in advertising in the preconvention issues. For further information, or for assistance in preparing or placing your advertisement, please call Bill McQuaide at +1 212 661 8528 ext. 105 or email wtm@aes.org.